Secrets of the Scrolls gives a historical account of these treasured manuscripts and presents some remarkable new revelations. The authors of the Scrolls were intensely Messianic and documented, it appears, the actual fulfillment of prophecy in the person of the Messiah. Such terms as “son of God,” “branch of David,” “stripes or piercings,” “being put to death” and “raising the dead” all ring a familiar chord. Quite possibly these incredible Scrolls represent the first extra-biblical revelation of Jesus Christ in history. We quickly produced this program after the initial Associated Press news release. Zola quotes from it extensively and emphasizes its significance. Within days of our first program’s broadcast, Dr. James Tabor phoned Zola to initiate a series of interviews that would unveil one of the 20th century’s most dramatic revelations. This program is the first of these interviews. A professor of Religious Studies at the University of North Carolina at Charlotte, Dr. Tabor delivers an incredible lesson. During this interview, Dr. Tabor refers to several books about the Dead Sea Scrolls, including The Complete Dead Sea Scrolls in English by Vermes (Penguin Press), The Dead Sea Scriptures by Gaster (Anchor Doubleday), and A Facsimile Edition of the Dead Sea Scrolls (2 Volumes) by Robert Eisenman and James Robinson. This program was so vital, so exciting, that we aired it on the Family Channel and other major networks at prime time. 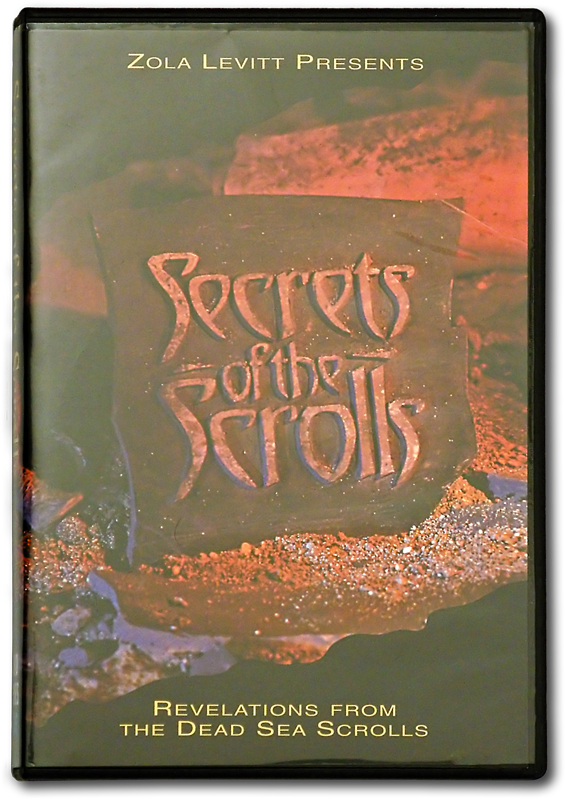 Included as the fourth program in the Secrets of the Scrolls series, it shares film footage taken in Israel during an actual archaeological dig at the very site of the finding of the scrolls! Both Dr. James Tabor and Prof. Michael Wise, a translator of the fragments, contribute to the edifying commentary. Michael Baigent, an English author, lectures in Qumran about the Scrolls. Dr. Tabor describes various approaches to excavation and how they pertain to the Scrolls. Dr. Robert Eisenman, a professor of Middle East religions at California State University at Long Beach, discusses the fascinating history of the Scrolls. Dr. Eisenman discusses his quest to gain access to the Scrolls. Dr. Tabor describes his archaeological team and how they map the caves in Qumran. An in-depth interview with a professor of Aramaic, the language of Jesus. Prof. Wise, from the University of Chicago, helped translate the fragments when they were first released. The New Jerusalem text, telling how the future will be, is discussed enthusiastically.